I would be very grateful to you if you could suggest to me some chemical/pesticidal treatment and also the ratio of the chemicals/pesticides to be used for the control of botrytis. With thanks, nitin. You should find the last paragraph valuable. Different fungicides are labeled for different crops. 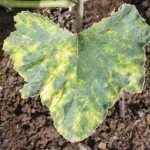 Make sure the product you choose is labeled both for botrytis as well as the type plant you are treating. The package will have mixing directions on it. Always follow package directions.